Suquamish Higher Education offers support services and funding to enrolled Suquamish Tribal Members meeting eligibility requirements with their educational goals. To apply, students must be enrolled in a program of study, attending an accredited institution of higher education – technical college, community college, or a four-year college or university. Funding depends upon availability. All participants, including current scholarship recipients and those seeking scholarship for the first time are required to submit an updated application, letters and transcripts every fall quarter/fall semester. Items postmarked, faxed or turned in after the due date will not be considered. Letter to the Higher Education Board explaining your educational goals and how they relate to your career goals. If you are applying for expenses other than tuition and books, please include a letter and budget stating those needs. There are limited funds for these expenses therefore there is no guarantee that these requests will be granted. Students will not be considered for a scholarship from Suquamish Higher Education unless all documents are complete and received by the appropriate due date. Current scholarship students must also submit an updated letter by the appropriate due date during each cycle for continued funding. Applications include requests for information provided on the FAFSA determination report. It is importation to complete the FAFSA process before applying for scholarship with the Suquamish Tribe. For more information on FAFSA visit their website here. 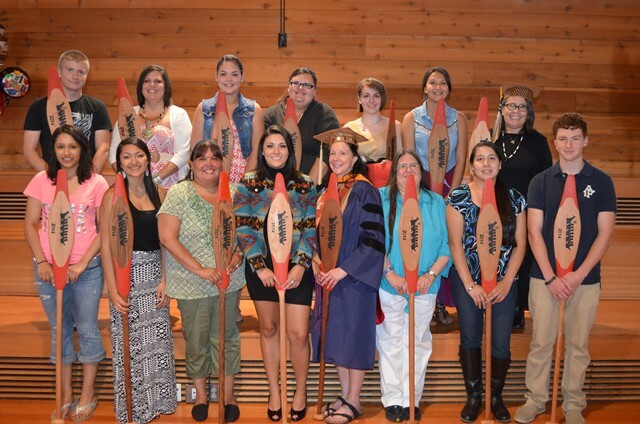 The Suquamish Tribal Council believes that each tribal member should have the opportunity and support from the Tribe to achieve his or her educational goals. The Tribe views the Higher Education and Vocational-Technical Program as an investment in both the tribal member and the future of the tribal community. The Tribe will support tribal members who meet the eligibility requirements to the greatest extent possible. However, the amount of funding available depends on the Tribe’s ability to fund and annual budget approval. The Suquamish Tribe does not guarantee funding. Additional policies and guidelines concerning program eligibility are included in the application packet. Any decision made by the Higher Education Board may be appealed by issuing a Letter of Appeal addressed to the Higher Education Board, this Appeal must be file within (20) twenty working days of receiving a written decision. For more information on appealing a decision by the board, contact the Higher Education Coordinator.